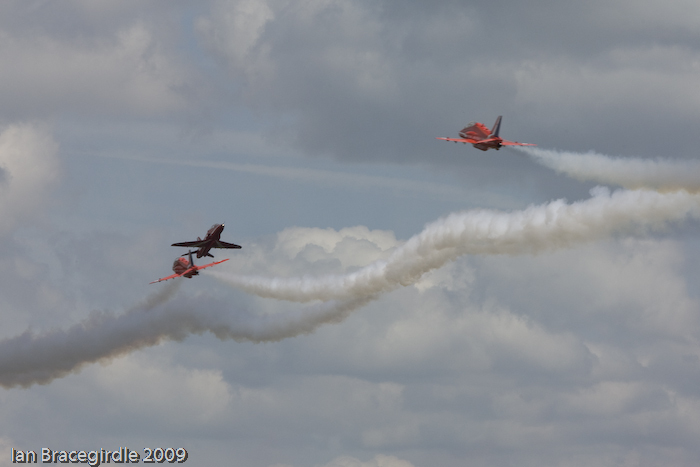 RAF Cosford Air Show, one of the country's first air shows of the season. 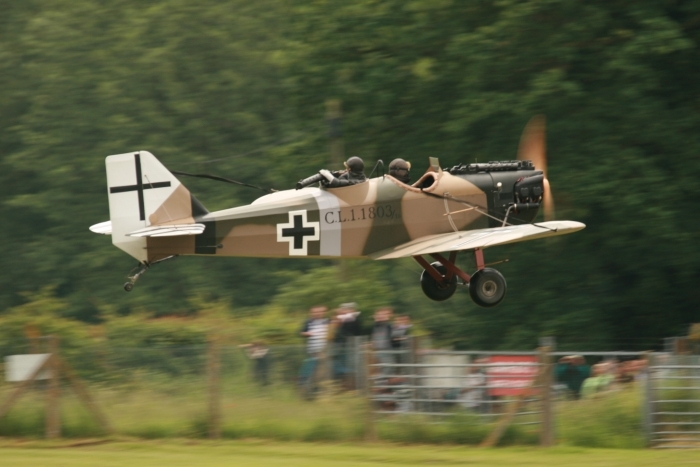 Cosford is sited just off the M4 in the Midlands and year after year has a varied selection of aircraft both modern and vintage at this one day event. 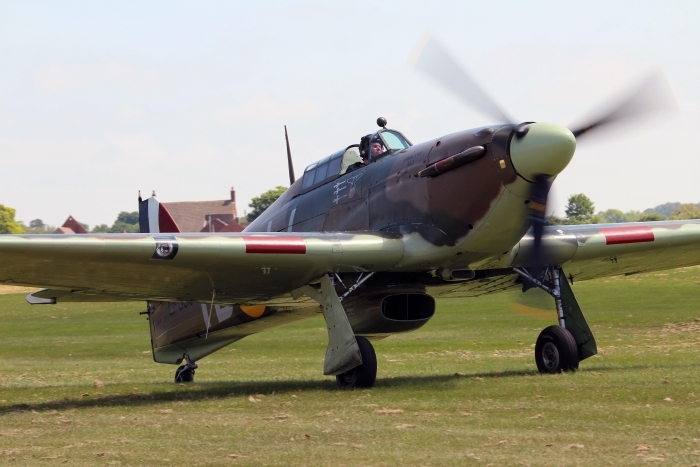 With the added attraction of a visit around the museums hangars. 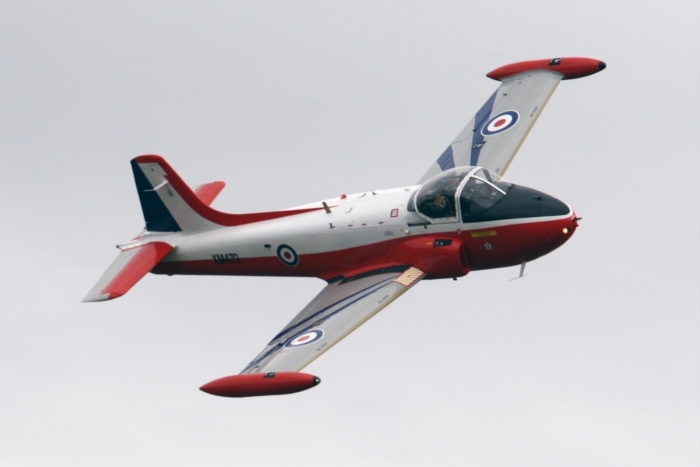 This year’s Cosford show attracted huge crowds, due reward for the efforts of the organisers. 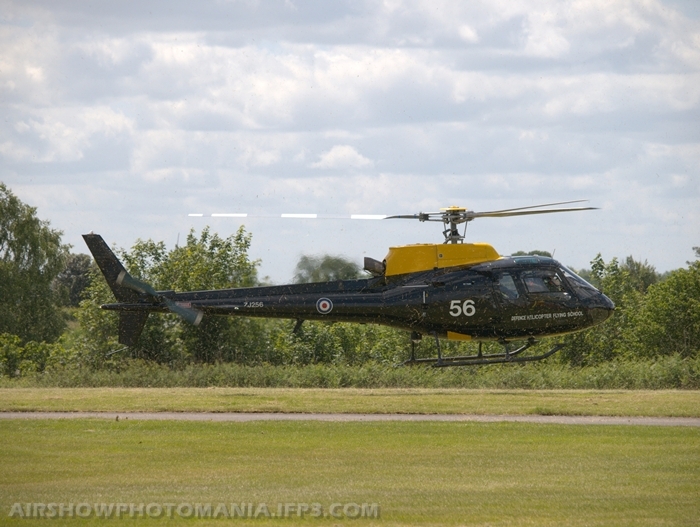 There is always plenty to see at Cosford before the flying begins. 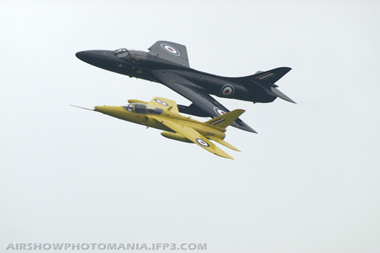 This year's show marked the 75th anniversary of Cosford and the 40th anniversary of the Jaguar. 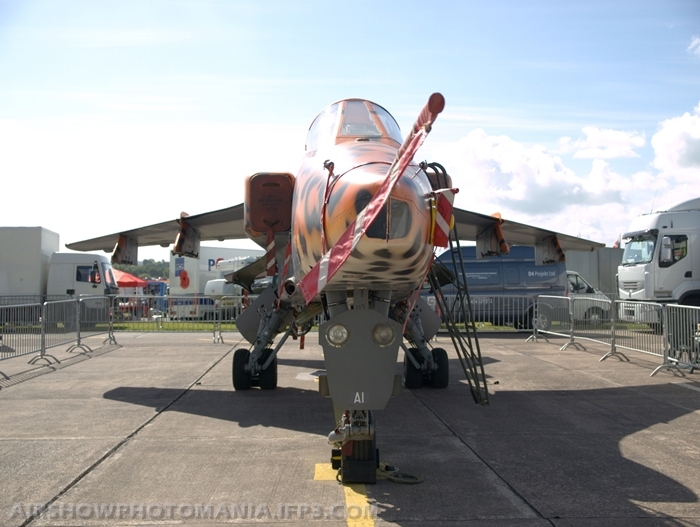 The latter was particularly significant because the Jaguar is now the main ground instructional airframe. 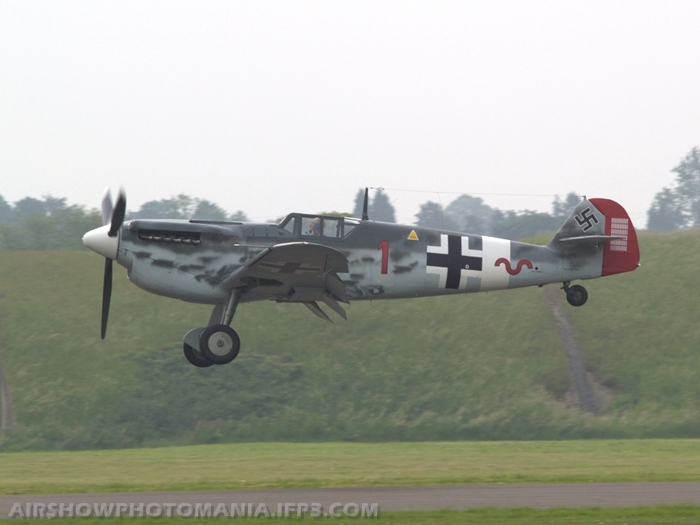 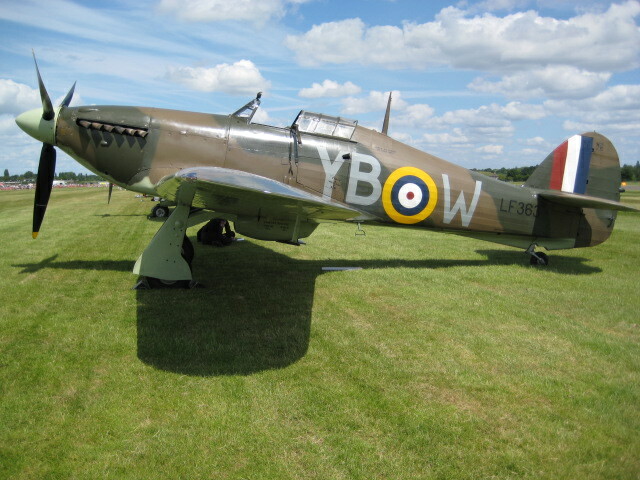 It was therefore fitting that over 25 were on display at various points around the airfield. 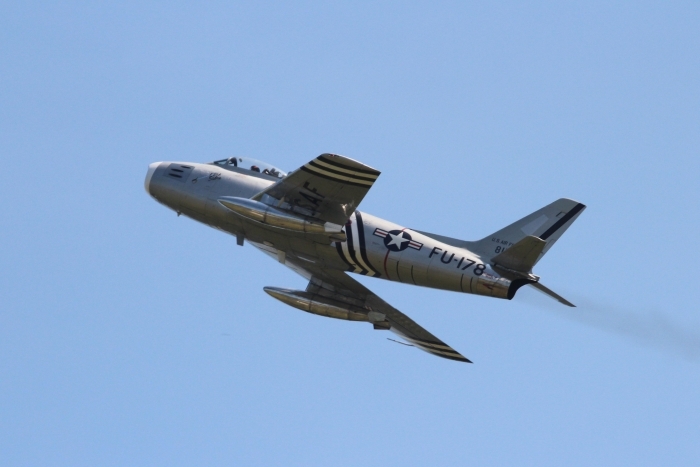 Also a notable part of the static display was a recreation of a Cold War deployment. 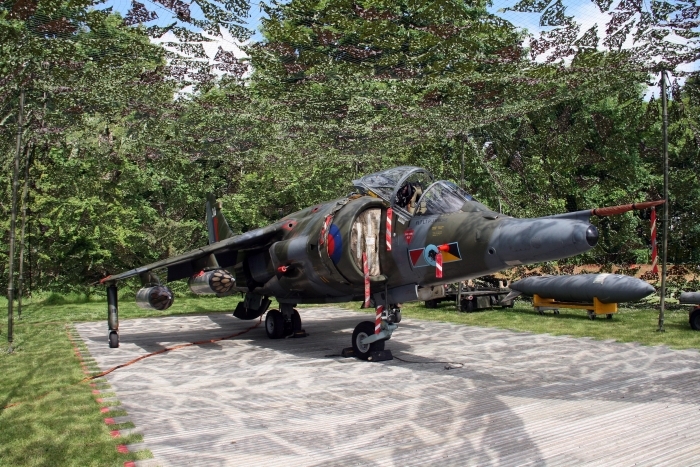 This included a Bloodhound 2, completed with its control cabin and Type 86 radar, and a Harrier GR3 in a hide. 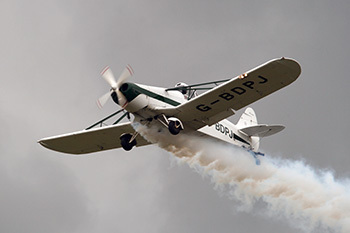 A prelude to the flying display was provided by 2 types with a long association with Cosford, through their use by University of Birmingham Air Squadron. 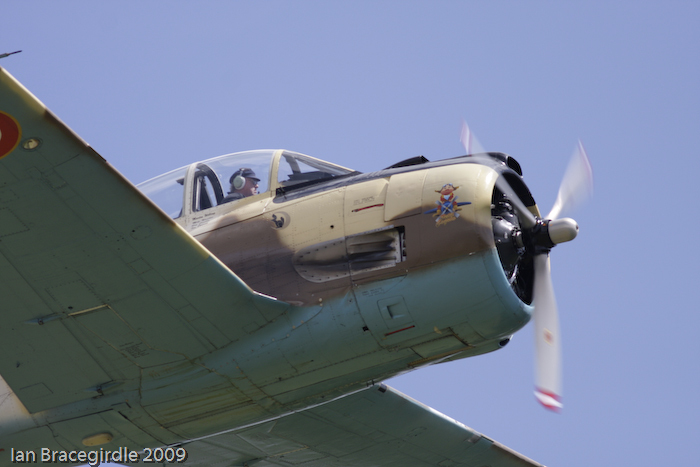 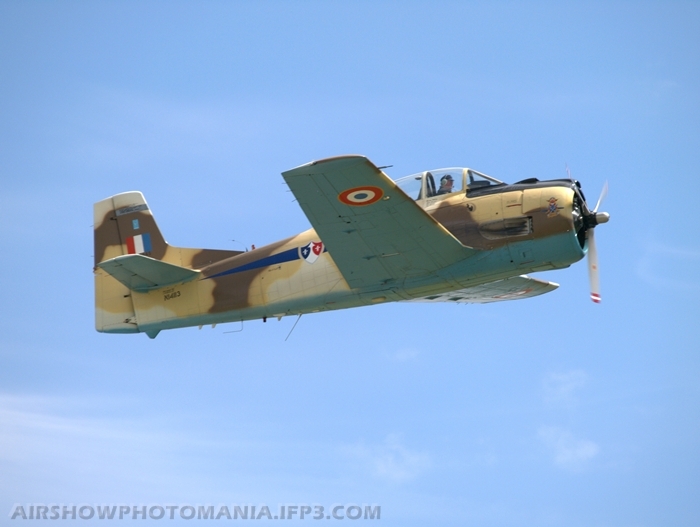 Bulldog T1 XX543, flown by Rod Dean, was accompanied by Chipmunk T10 WG407, flown by Howard Cook. 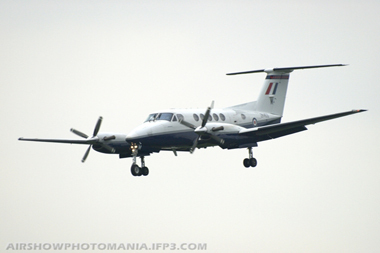 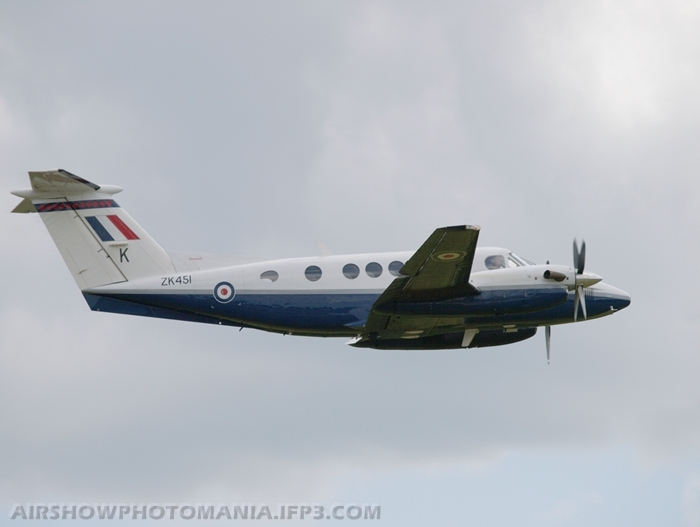 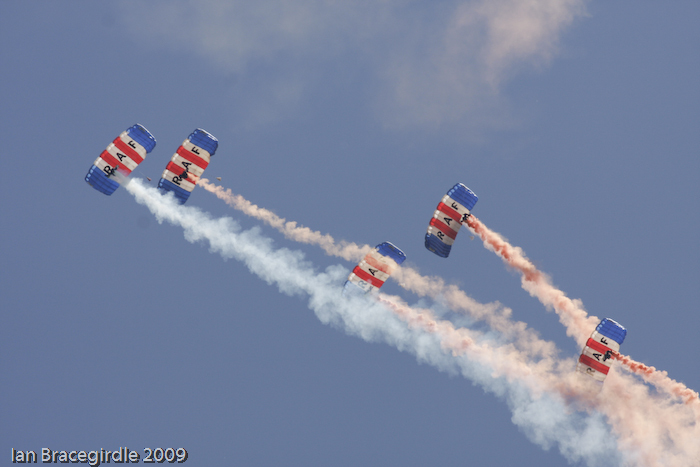 Next the RAF Falcons officially opened the show; jumping from Cessna 208 G-DLAA. 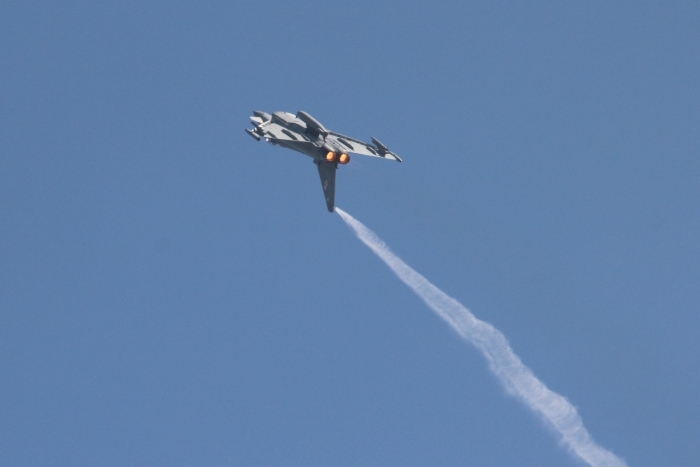 Typhoon ZK322 AR 29(R) Sqn provided a high kinetic routine enhanced by visible shock waves as a result of the atmospheric conditions. 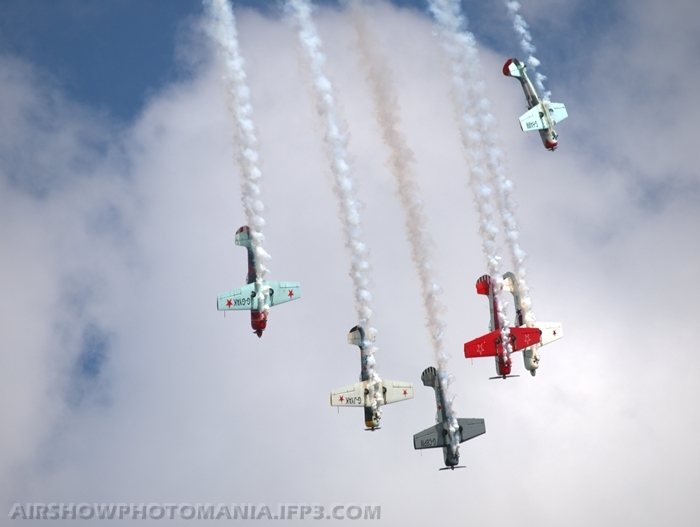 A complete change of tone was provided by the Aerostars in their six Yak 50s, led by Mark Rijkse with Dave Boardman performing the solos. 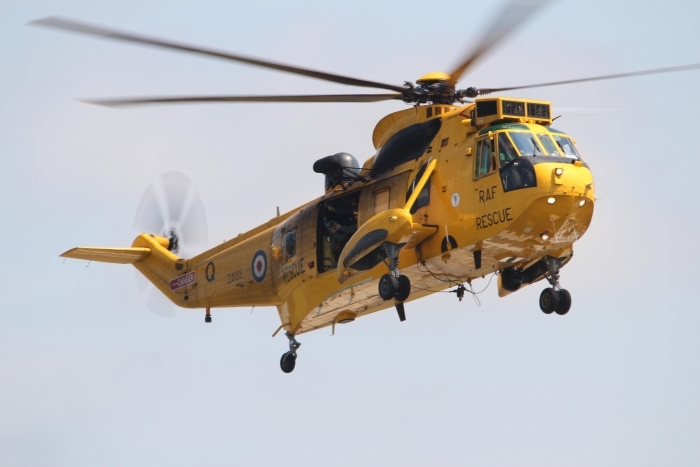 The familiar and reassuring sight of Sea King HAR3A ZA105 Q of C Flt 22 Sqn Valley reminded us that after 35 years of service it will have disappeared within 3 years; and displays may well stop earlier. 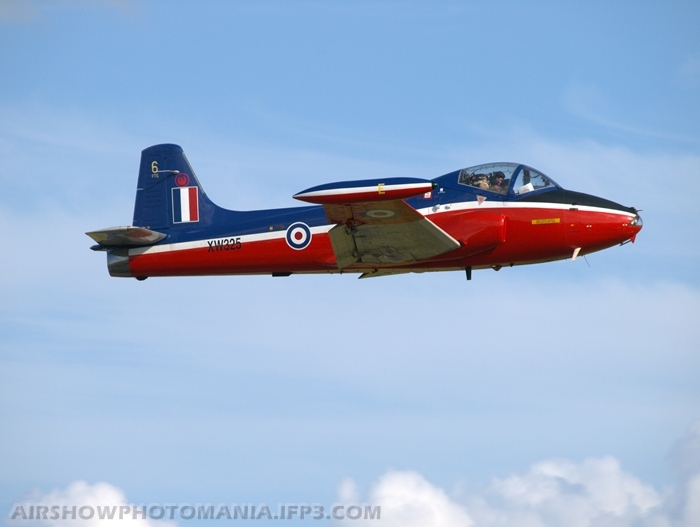 Dan Arlott followed flying a graceful display in the Jet Provost T5. Brendan O’Brien flying his Piper J3C-65 Cub G-BPCF gave his familiar display of crazy flying culminating in landing on a trailer, barely longer that the aircraft and only 4 inches wider than the undercarriage, travelling at 55 mph down the runway. 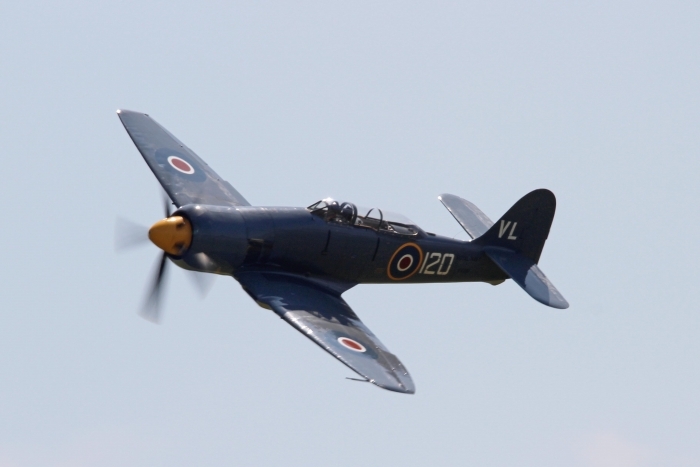 The Commanding Officer of the Royal Navy Historic Flight Lt Cdr Chris Gotke demonstrated the Sea Fury T20 to perfection. 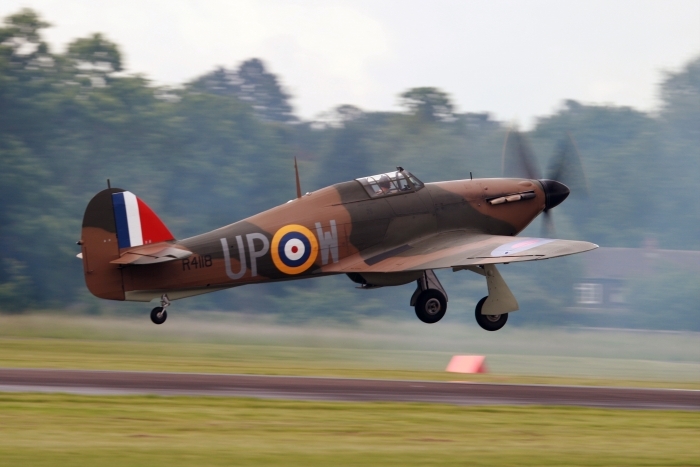 The first part of the BBMF contribution consisted of classic contributions by the Lancaster BI PA474, Hurricane IIC LF363 and Spitfire PRXIX PS915. 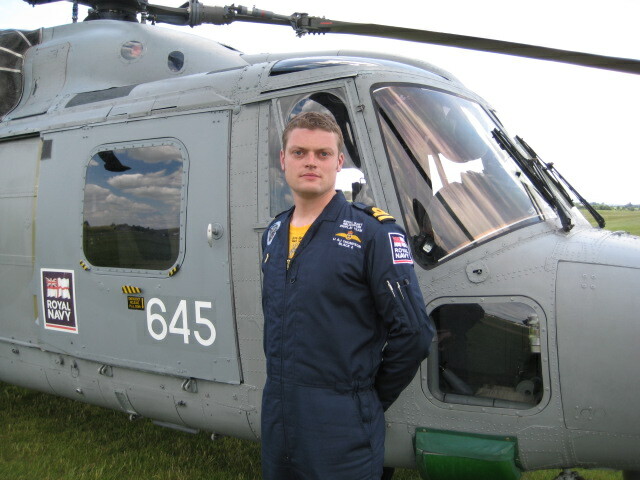 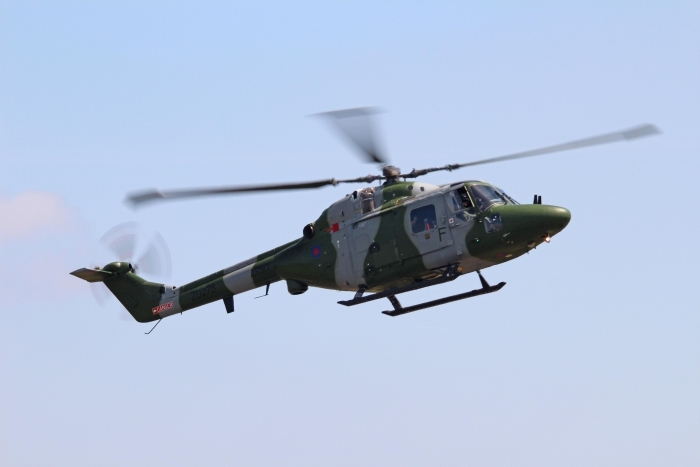 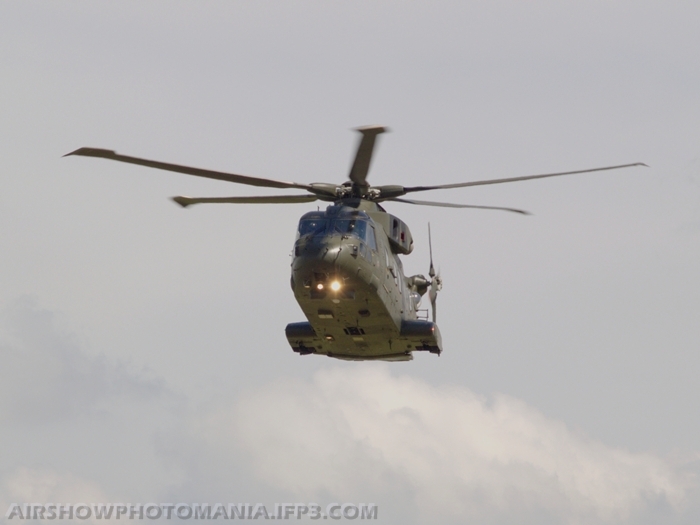 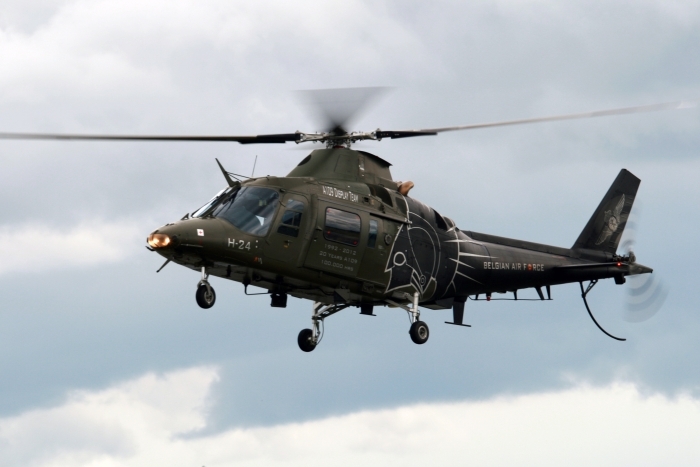 The Army Air Corps contribution to the display started with the Lynx AH7 ZD280 from 671 Sqn flown by Cpt Eddie Brown. 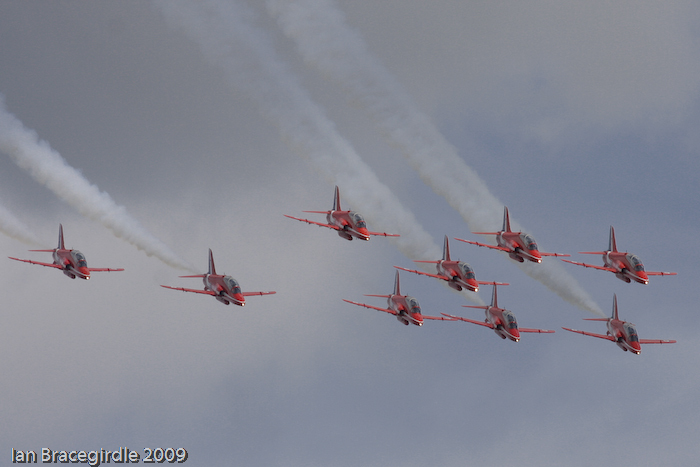 Splitting the helicopter displays were the Red Arrows, restored to nine aircraft and as polished as ever. 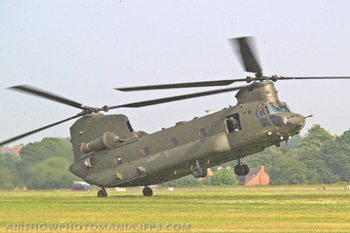 Chinook HC2 ZA674 demonstrated its unique capabilities and the benefits of the twin rotor configuration, including a fast taxi on only the rear wheels. 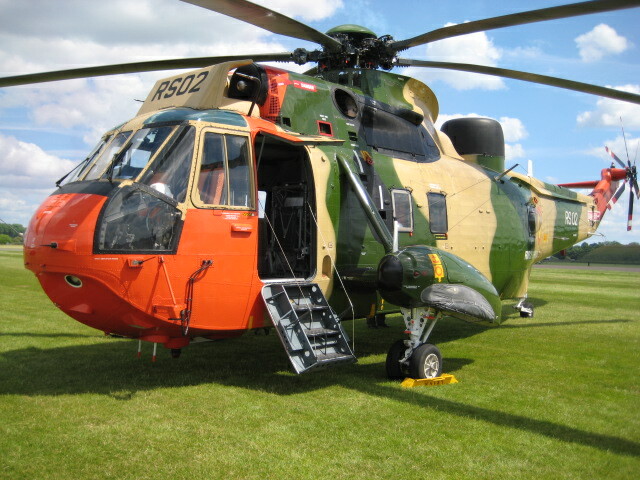 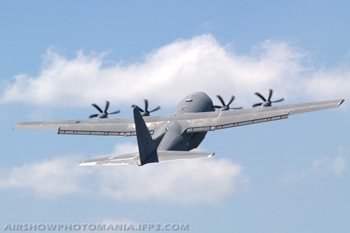 It then provided the airlift for a display of the role of the Medical Emergency Response Teams (MERTs). 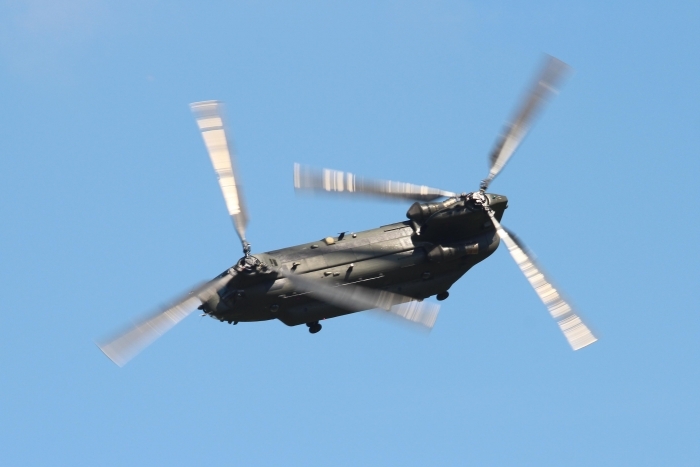 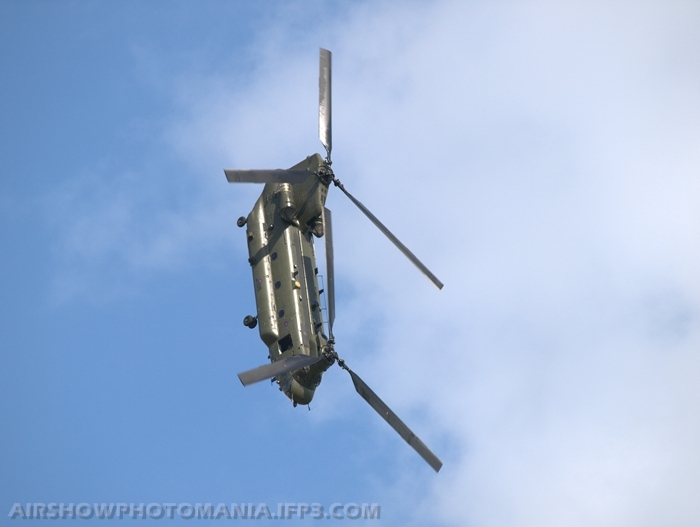 Apache AH1 ZJ171 from 662 Sqn 3 Regt AAC crewed by SSgt Boakes and Cpt Wales provided top cover for the Chinook during the MERTs display before displaying the extreme manoeuvrability of this aircraft. 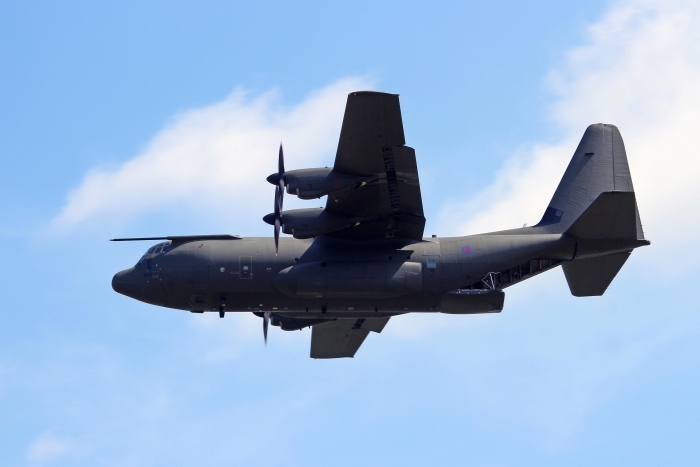 Despite the reduced RAF commitment, common to all shows this season, Hercules C5 ZH883 performed a single slow pass with the cargo ramp open. 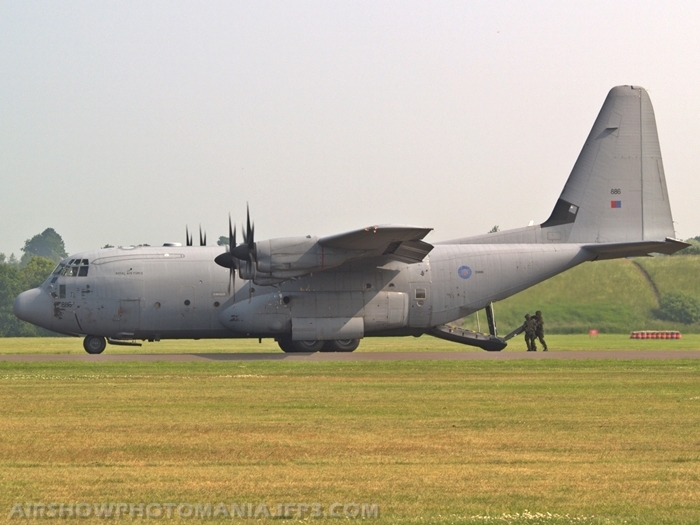 This commemorated the role played by the Hercules in in-theatre casevac in successive conflicts over the last 45 years. 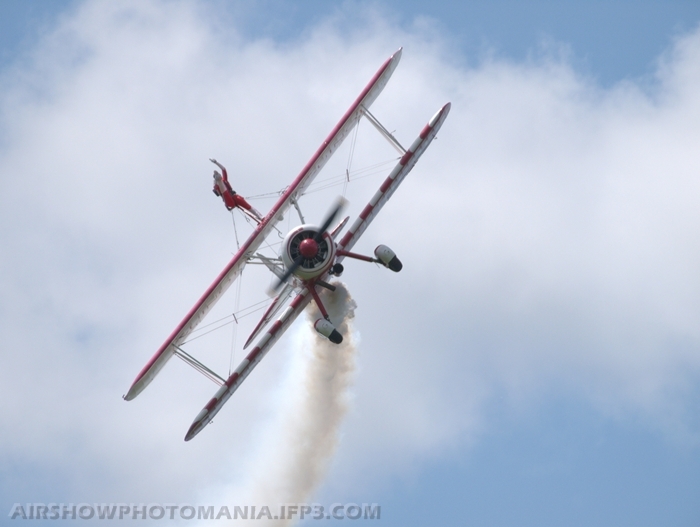 Although its place at top competition level has been taken by Extras and Sukhois, the Pitts Special still has what it takes to provide a spirited display, as ably demonstrated by Richard Goodwin in his newly modified Pitts S-2S G-EWIZ. 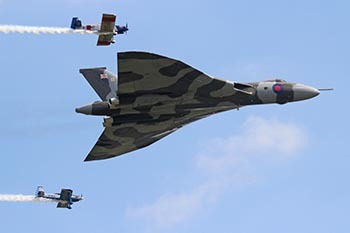 The inclusion of Avro Vulcan B2 XH558 in the programme had been well trailed, and probably contributed significantly to the very large crowd. 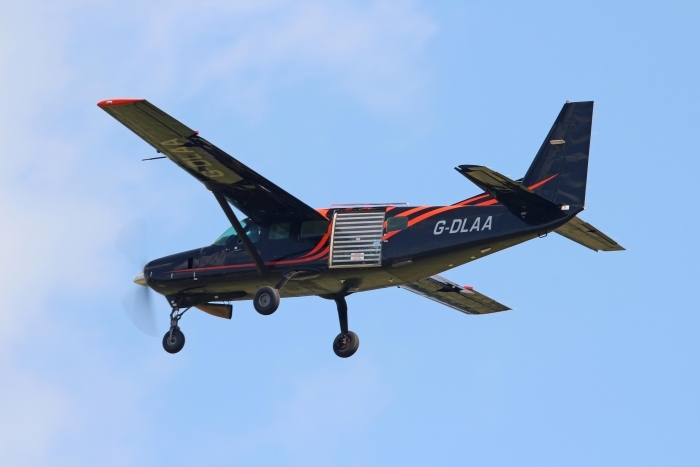 What came as a major surprise was its arrival with a Van’s RV-8 of the RV8ators on each wing tip. 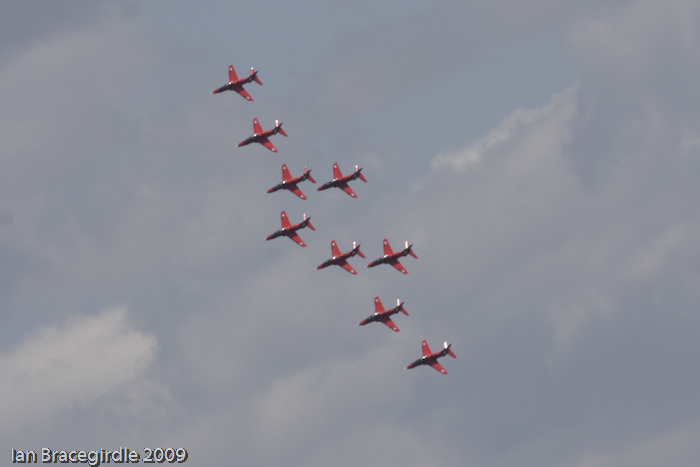 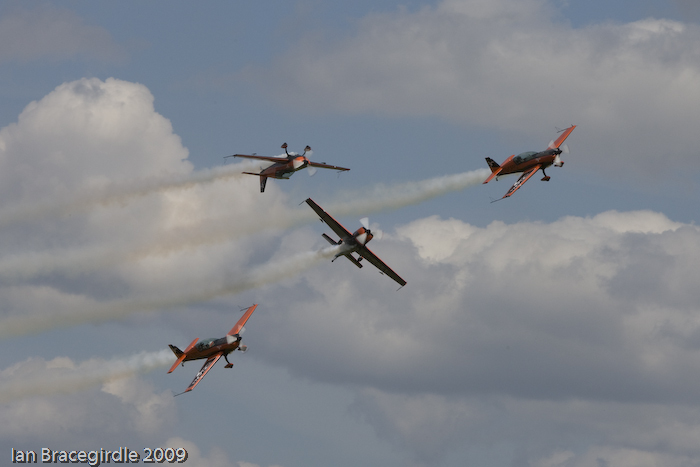 The RV-8s kept immaculate formation throughout two passes before separating to hold for their slot. 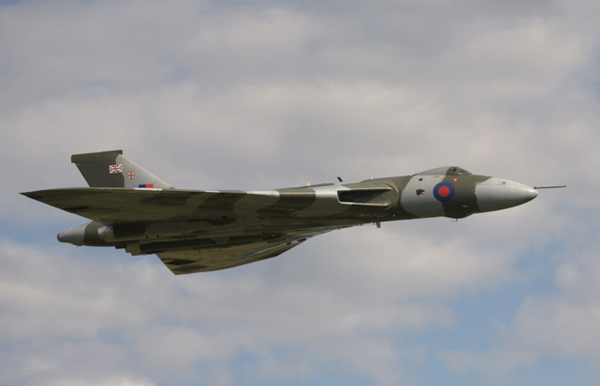 The Vulcan, flown by Kev Rumens then continued to its solo display. 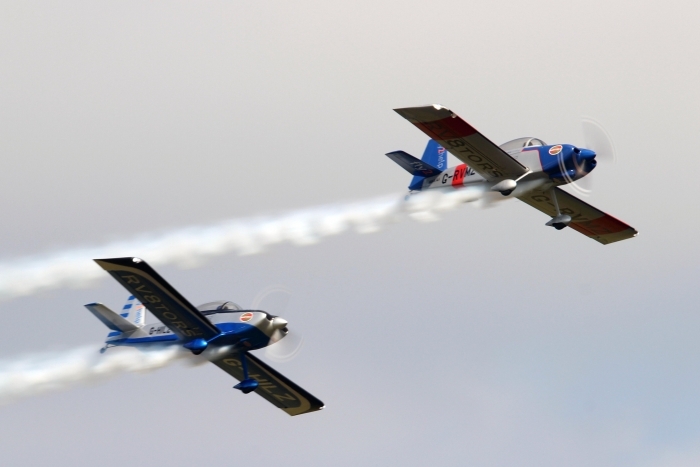 The RV8ators display that followed provided a graceful contrast, demonstrating what can be achieved in a home-build powered by only 200hp. 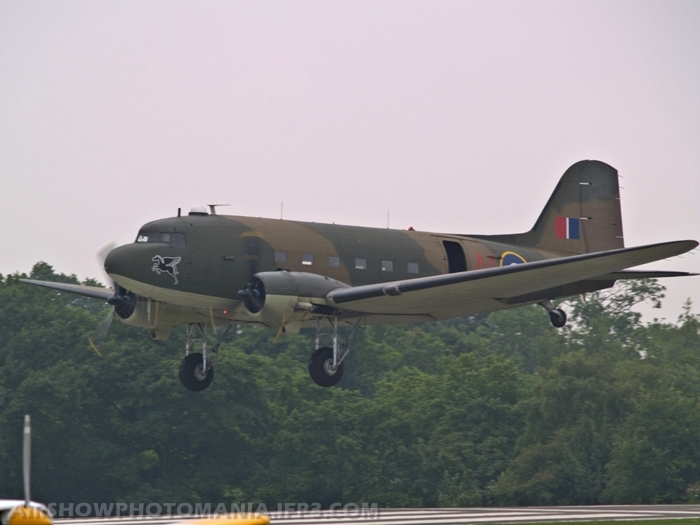 To complete the BBMF contribution, Dakota C3 ZA947 performed its tribute to the largely unsung transport crews. 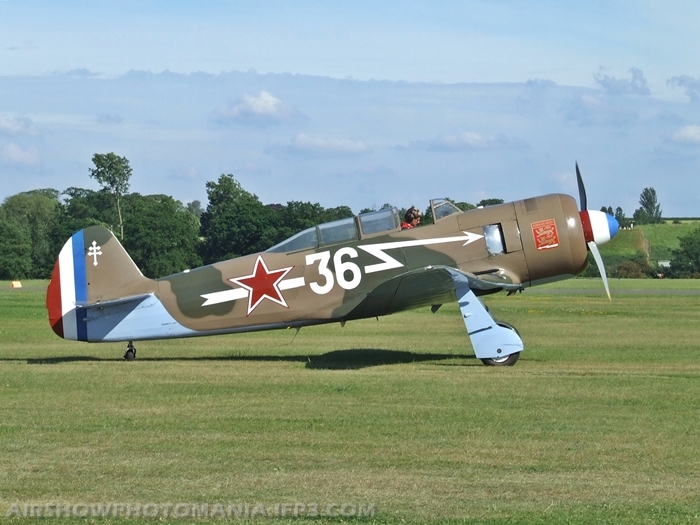 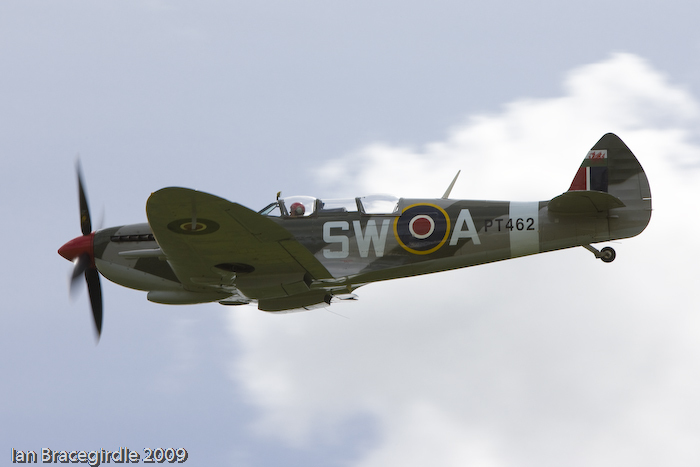 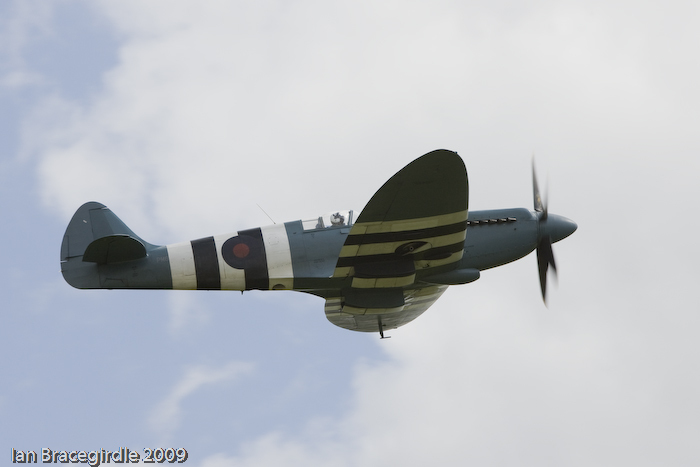 Peter Tiechman flew Spitfire PRXI PL965 (G-MKXI) from his Hangar 11 Collection based at North Weald. 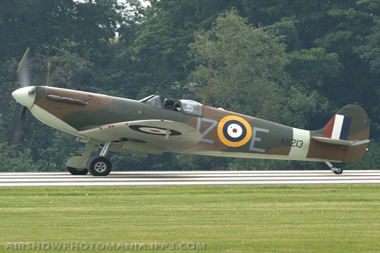 This most elegant of Spitfires carries the colours of 16 Sqn operating from Melsbroek (now Brussels Airport) in 1945. 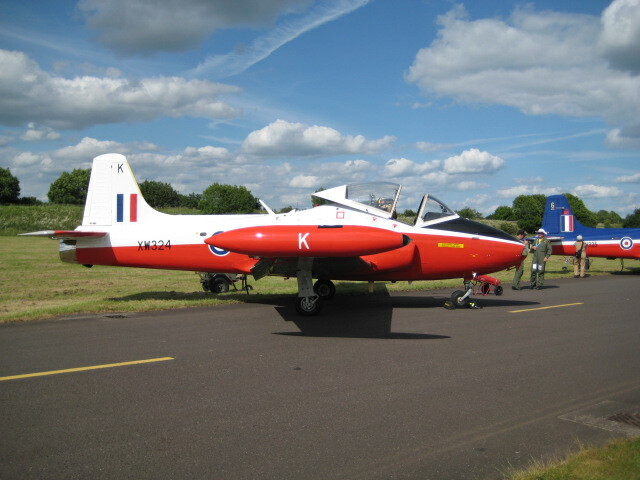 Tucano T1 ZF239 of 72(R) Sqn 7 FTS in the 2013 special scheme that is inspired by that carried by the squadron’s Spitfires in the Middle East during WWII. 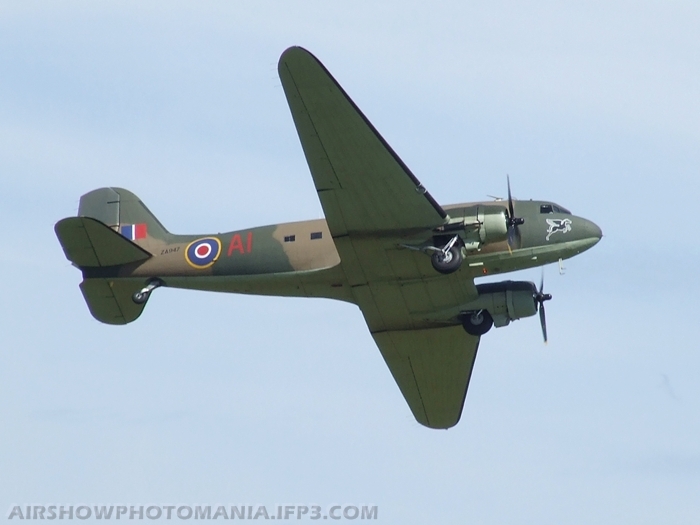 The B-17G Sally B was the last warbird on the programme, a tribute not only to the tens of thousands of American airmen who died on operations flown from the UK but also to Ellie Sallingboe; who has for more than 30 years driven the maintenance and operation of the aircraft with no access to central funding. 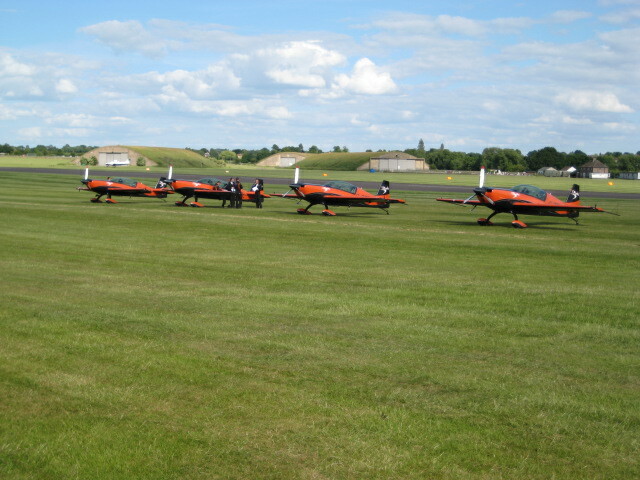 The show was closed by the Blades, with their Extra 300Ls resplendent in their revived orange and black colour scheme. 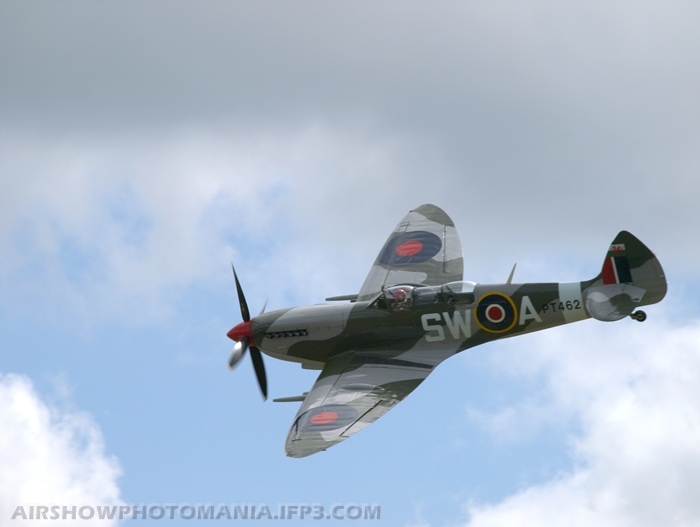 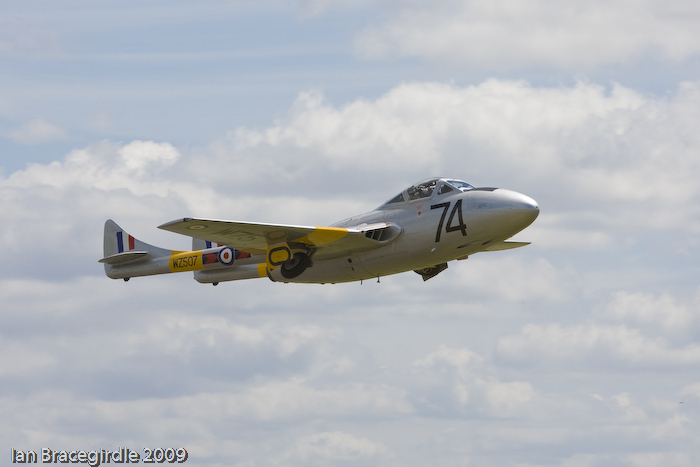 The Cosford Air Show 2013 DVD/Blu Ray is available from Planes TV, featuring all of the aircraft which flew at the show. 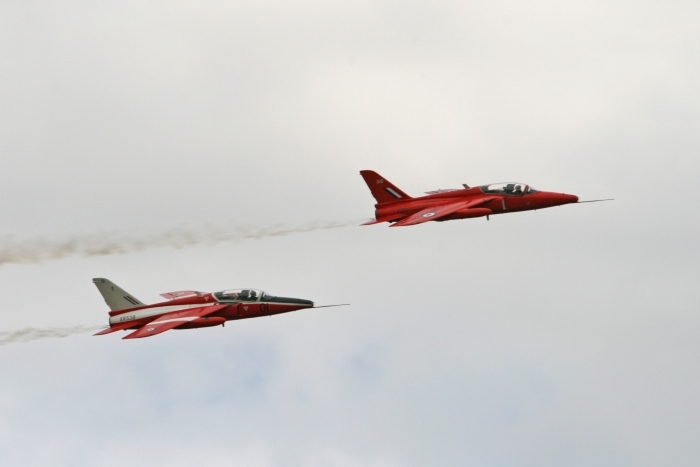 The Cosford Air Show has a unique atmosphere that is in many ways reminiscent of the RAF At Home days of the 1950s and 1960s. 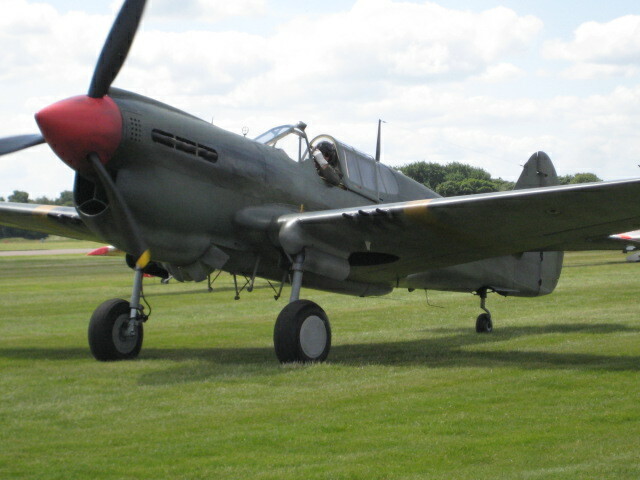 The flying display is supplemented by the imaginative use of some of the training hangars and their normal contents to provide very varied static displays; many of which could not be realised anywhere else. 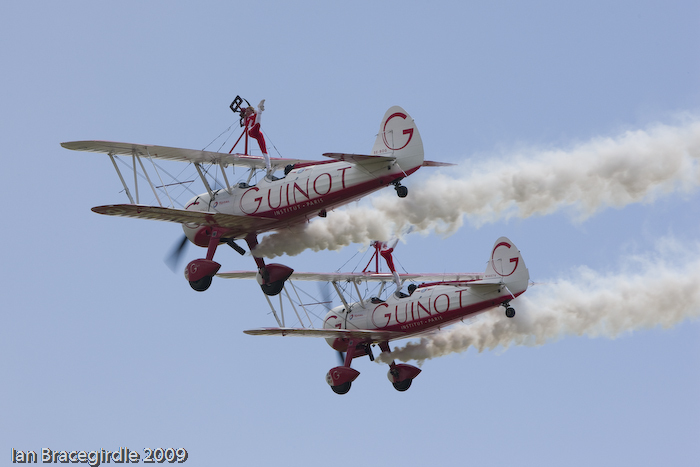 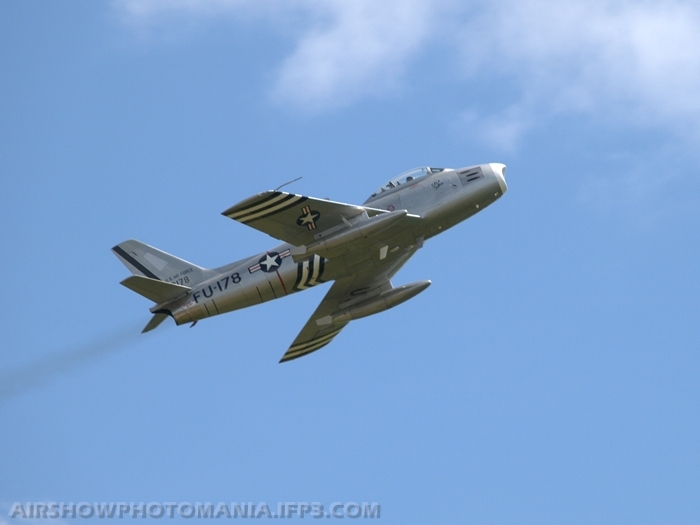 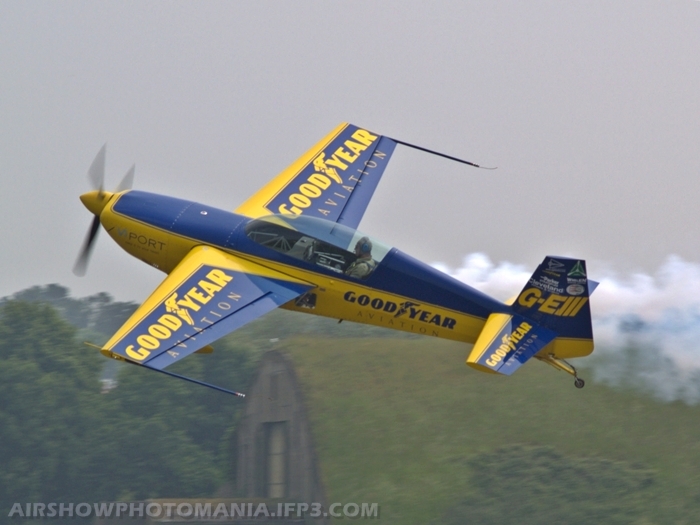 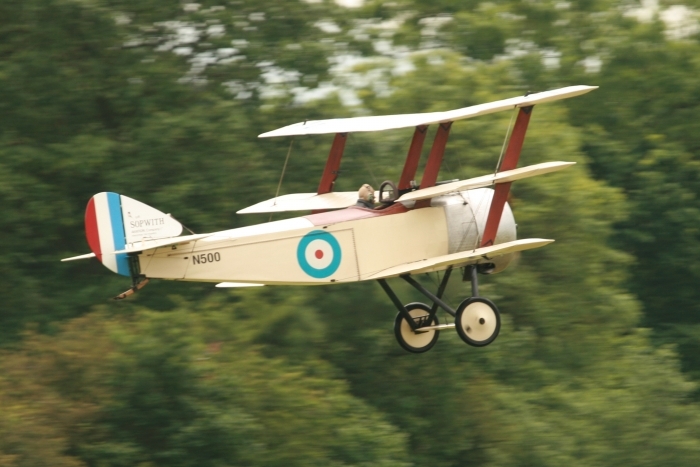 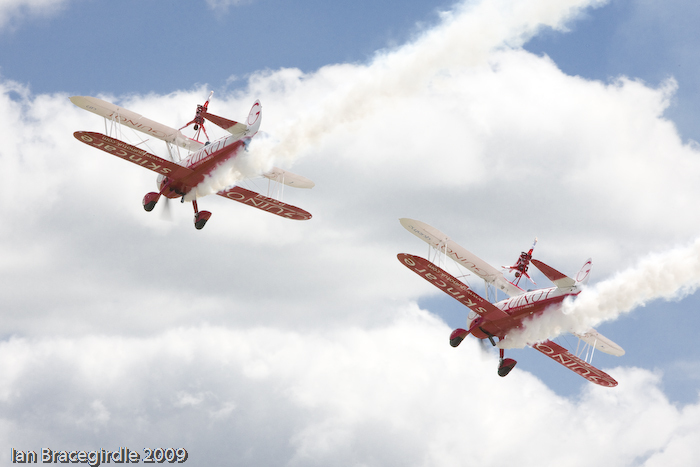 Although there are other attractions for families, there is absolutely no doubt that this is an aviation event. 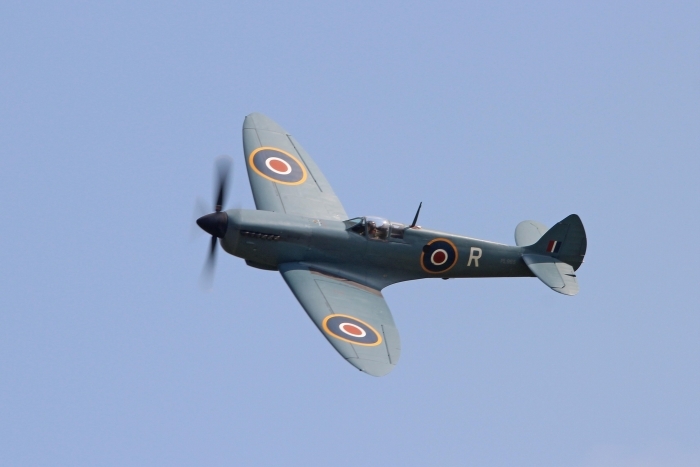 Supporting the events organised for the day is access to the wonderful RAF Museum collection; although this really deserves a dedicated visit. 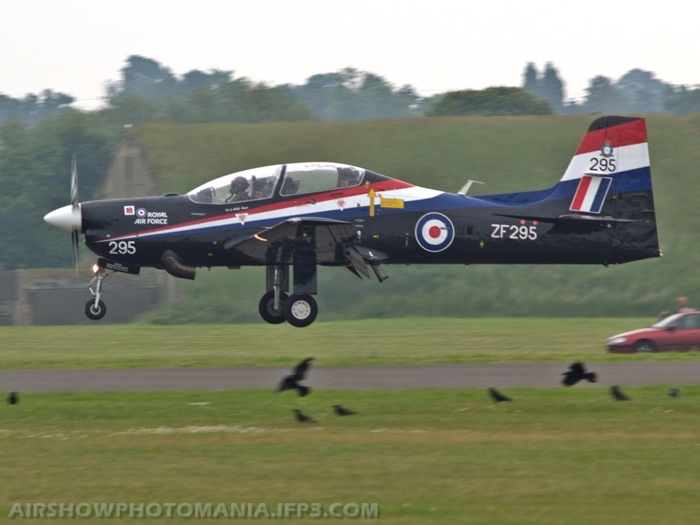 As a prelude to the flying display we were treated to a fast taxi run by Jaguar GR3A XX748 in the final 6 Sqn operational colour scheme. 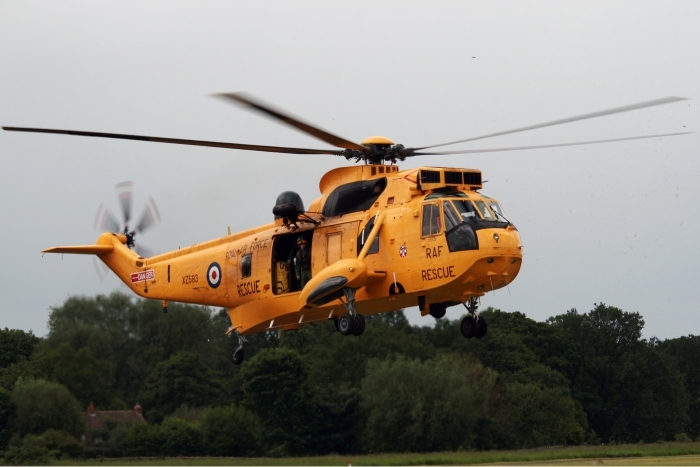 This aircraft is one of those normally used to support airfield training. 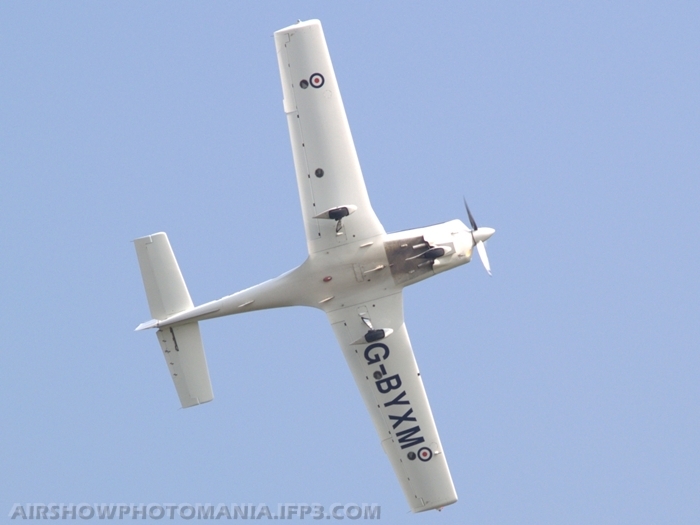 The start of the display was marked by Piper PA-25 G-BDPJ towing a welcome banner that also commemorated the Queen’s Diamond Jubilee. 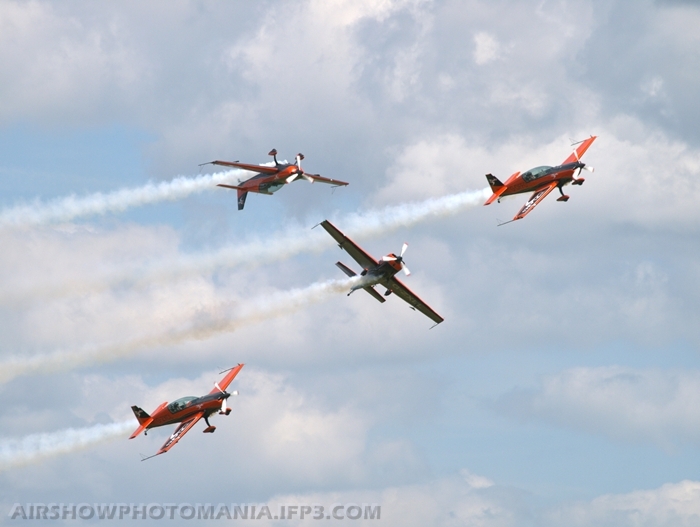 Next the RAF Falcons parachute display team jumped from Cessna 208B N208AX, their DZ illuminated by a flare burning unusually bright in the murk. 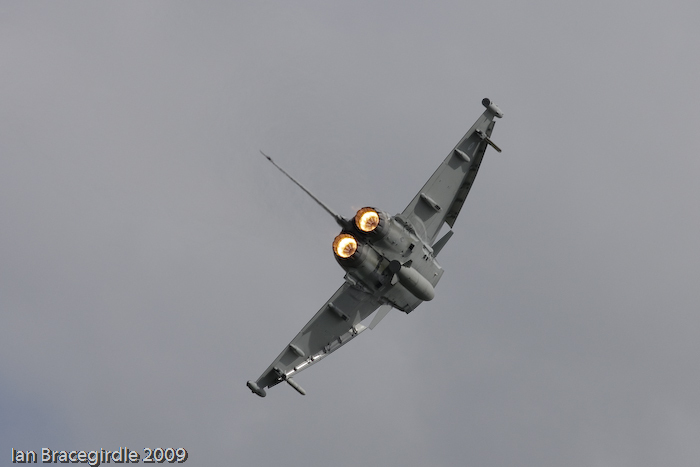 Typhoon FGR4 ZK333 of 6 Sqn gave an impressive display of power and manoeuvrability despite being constrained to a flat display. 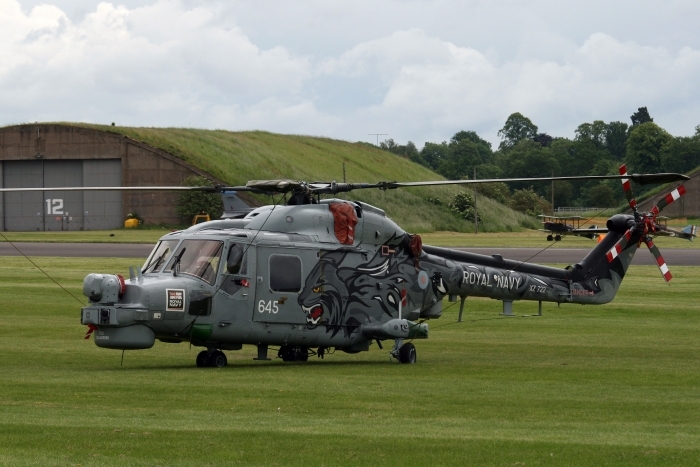 Lynx HMA8 XZ722 of the Black Cats displayed the exceptional capabilities of this helicopter that will be replaced by the AgustaWestland Wildcat over the next few years. 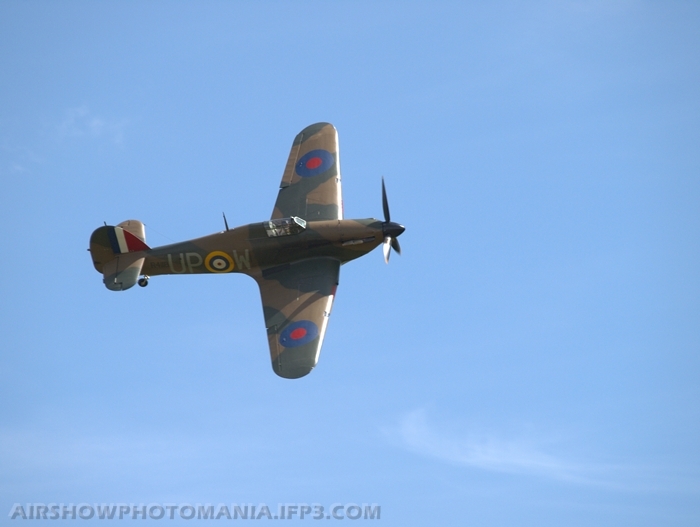 The BBMF contribution was as welcome as ever. 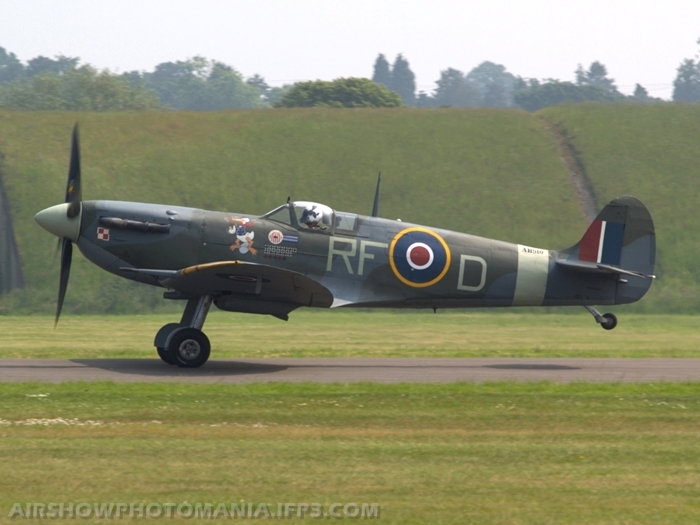 This year Lancaster PA474 was accompanied by Spitfire PRXIX PS915 in the markings of the aircraft that made the RAF’s last operational Spitfire sortie. 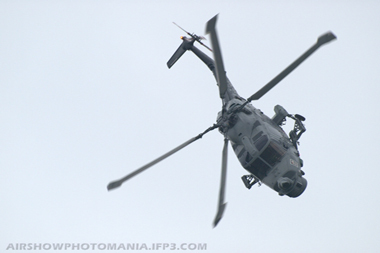 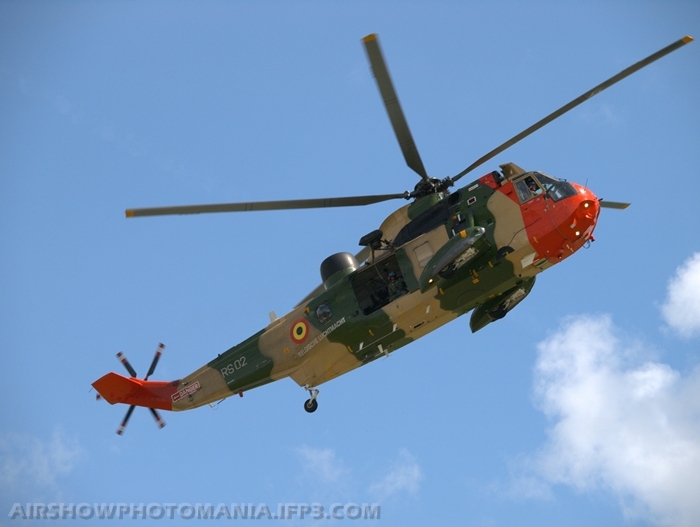 The sole foreign military participant in the flying display was H-24, a Belgian Air Element A109HA sporting a special display team scheme. 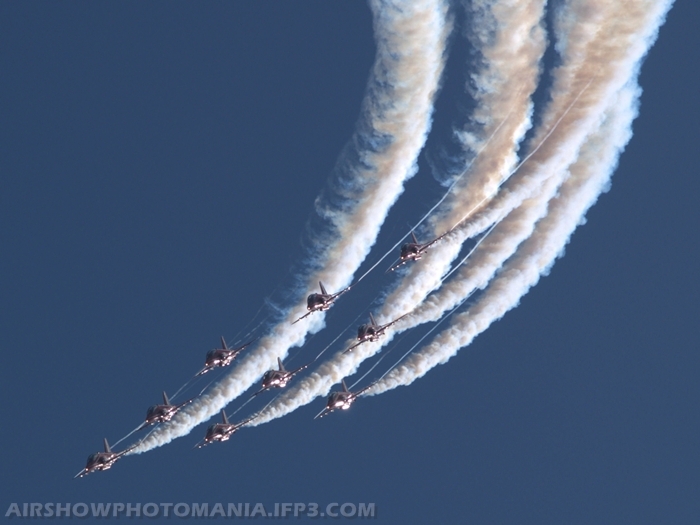 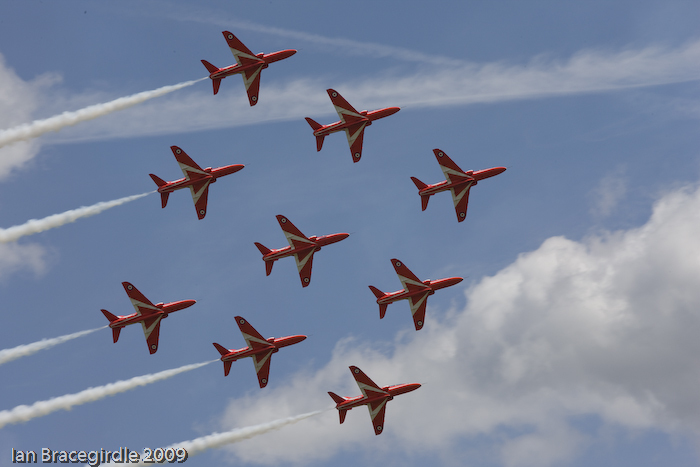 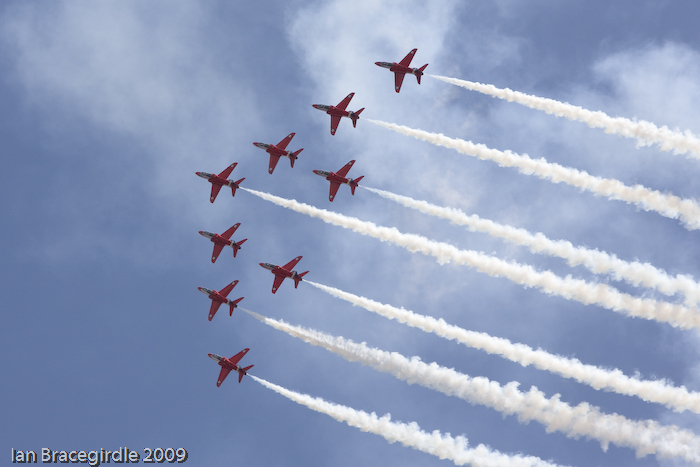 The Red Arrows provided many of the crowd with the main purpose for their visit, coping well with the limitations of the seven-ship formation, the standard for 2012. Making a very welcome appearance in the twilight of a very long career was VC10 K3 ZA149 of 101 Sqn that made 2 passes, including a slow pass with the undercarriage down. 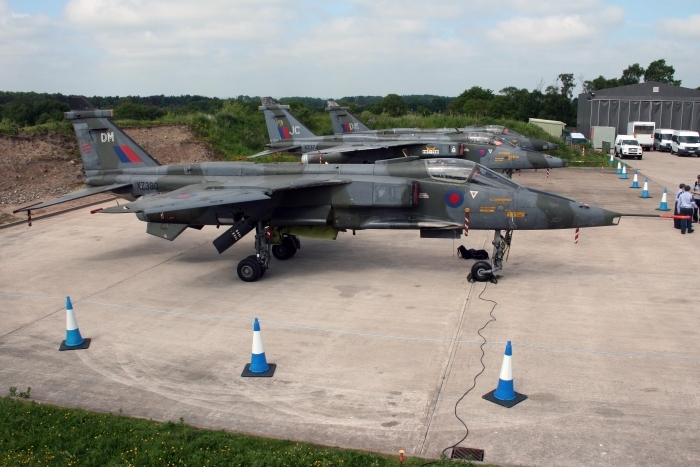 The revised Tornado Role Demonstration for 2012 was executed by ZA365 and ZA492 of XV(R) Sqn. 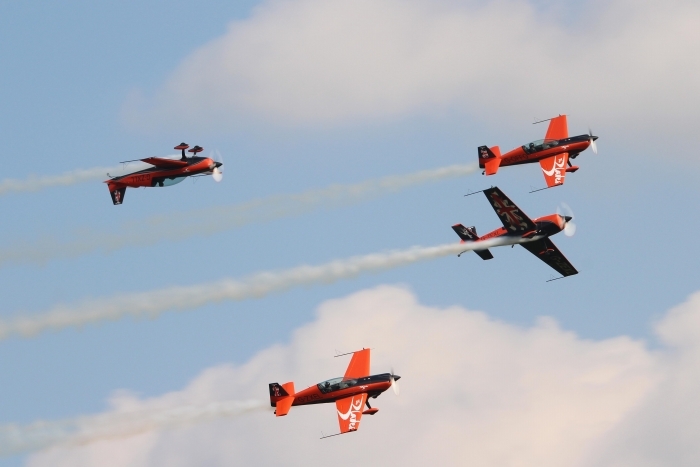 With fantastic weather conditions and a record breaking crowd, one of the seasons earliest air shows got off to a flying start. 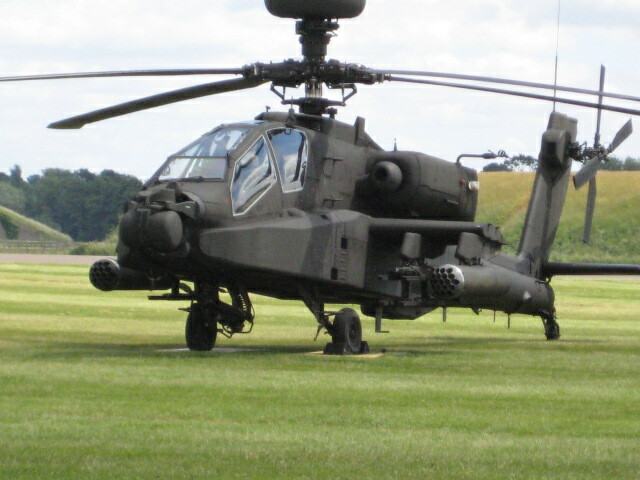 With the added bonus of a trip round the Cosford Air Museum's hangars. 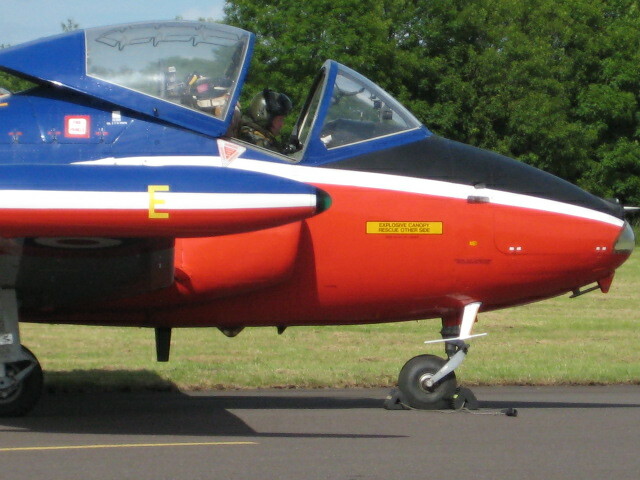 Cosford hosted a wide variety of aircraft including The Red Arrows, The Blades, Aerostars and The Turbo Team. 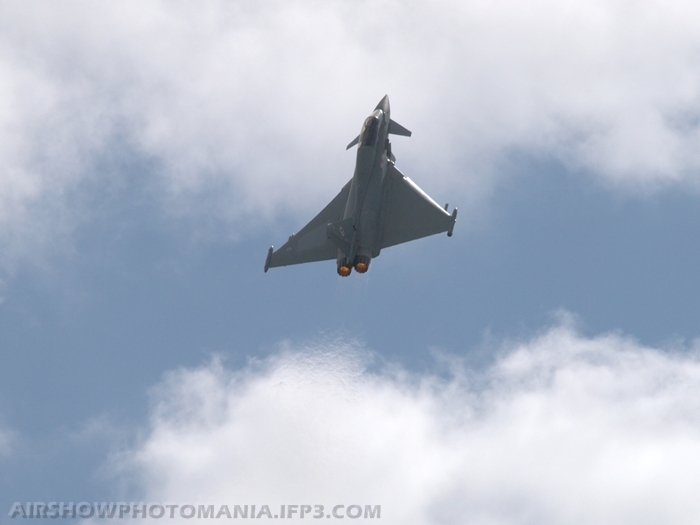 Through to the fast moving Typhoon display, a pair of Jet Provosts and the Sabre. 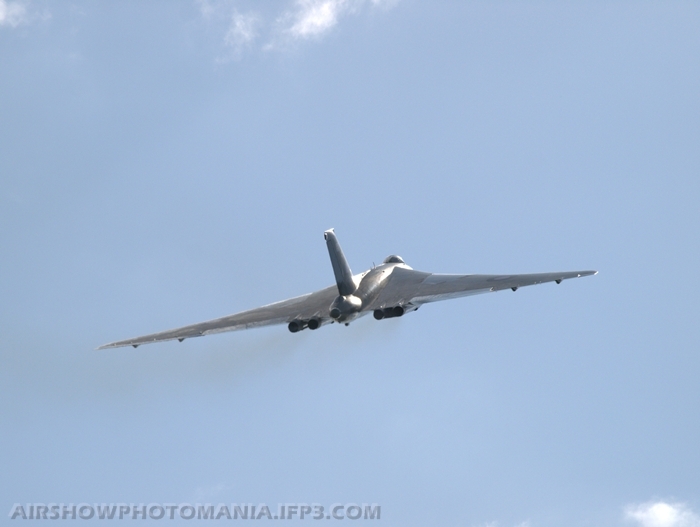 Followed up by an outstanding, long awaited display by the world's only airworthy Vulcan. 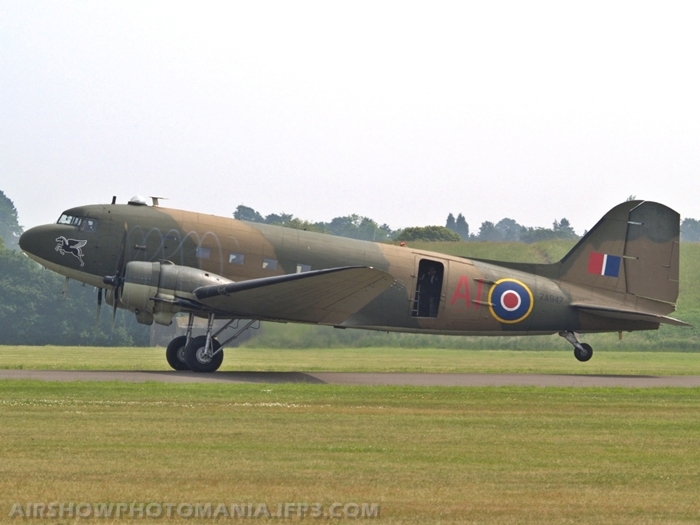 The Battle of Britain Memorial Flight was much in evidence, with the Lancaster, Dakota, a Hurricane and Spitfire in attendance. 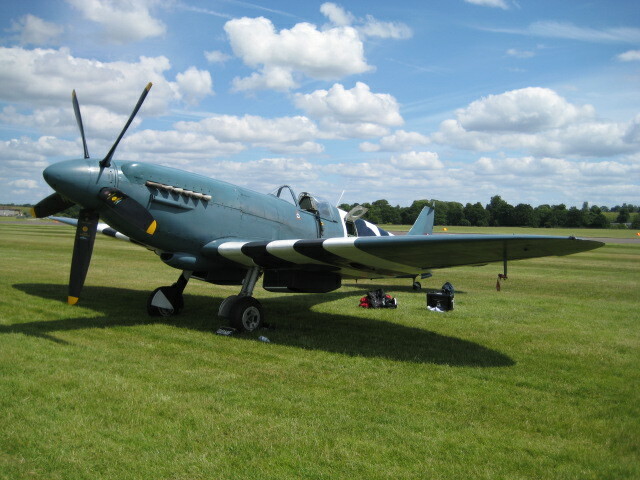 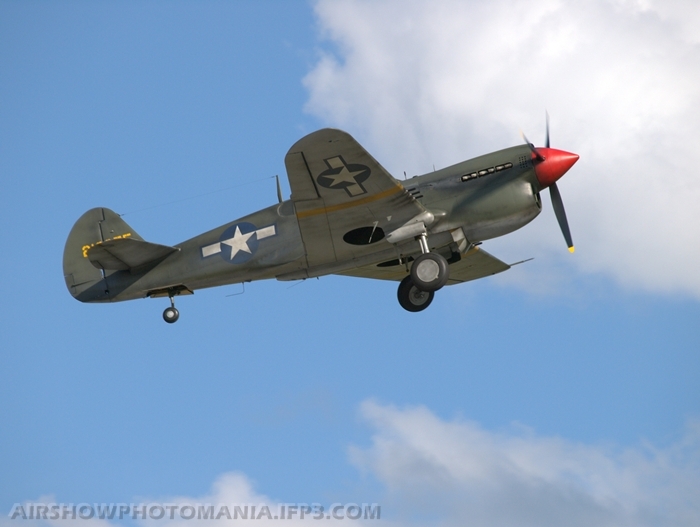 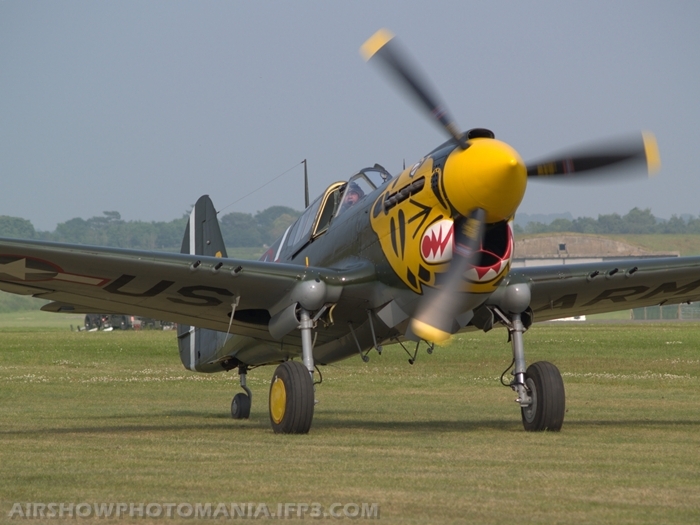 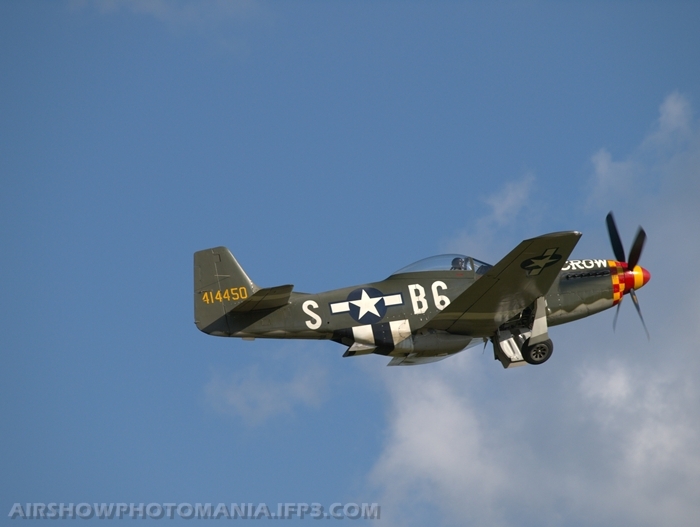 Also displaying was the King Air, Mustang, P-40 Kittyhawk and two-seat Spitfire. 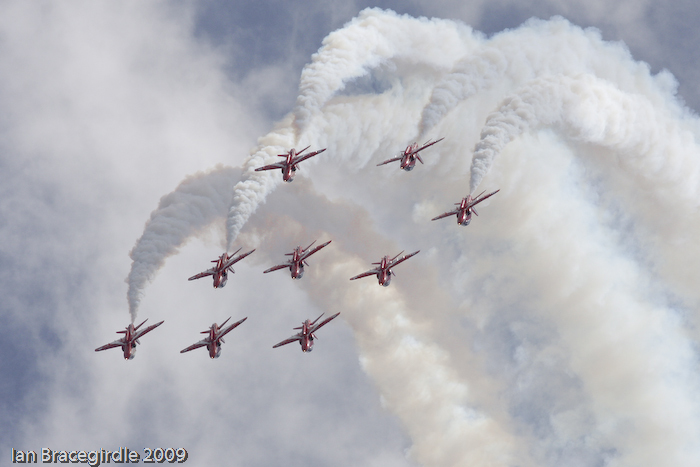 This year the RAF celebrates its 90th anniversary and it was celebrated at RAF Cosford this year. 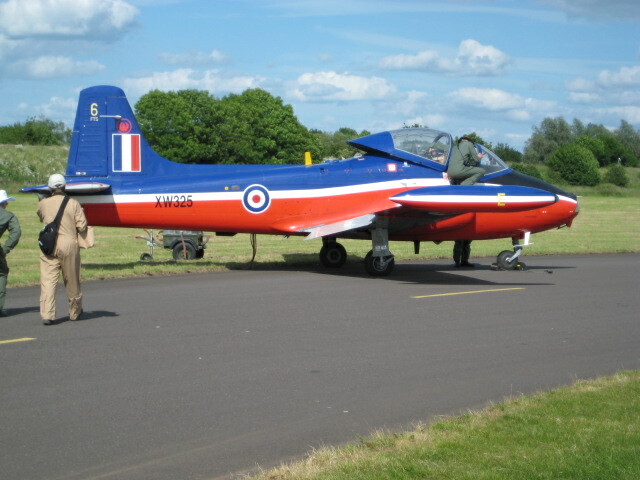 It's not just an air show at Cosford because some of the hangars are open showing the work that Cosford does with the Jaguars and Jet Provost engineering airframes, and of course the museum's hangars were open for visitors. 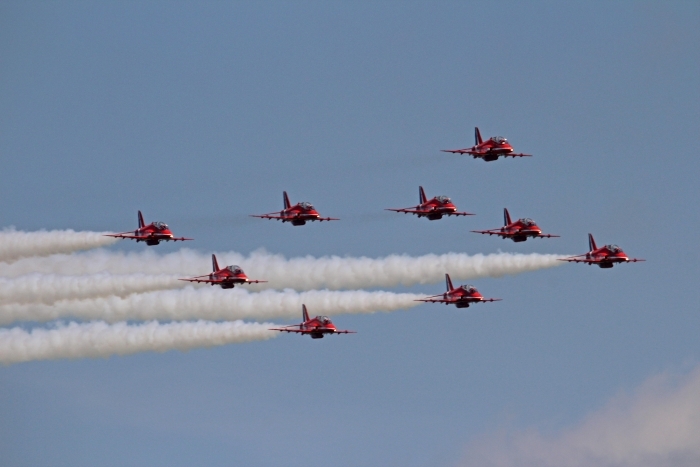 This year's air show got off to a good start with recording breaking crowds of over 53,000. 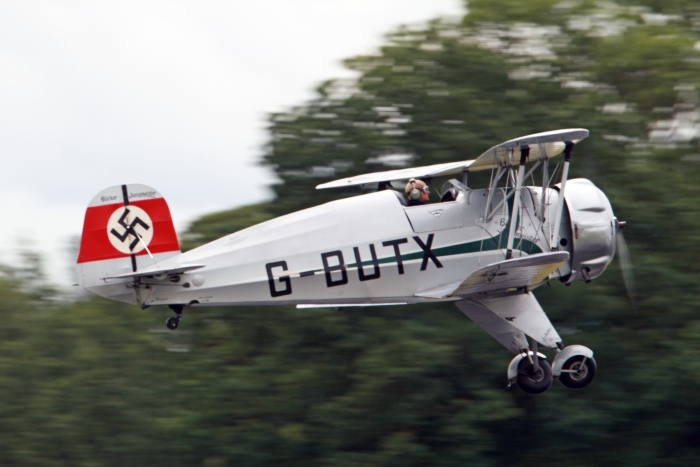 Just proves a point that the organisers of the show get it right year after year. 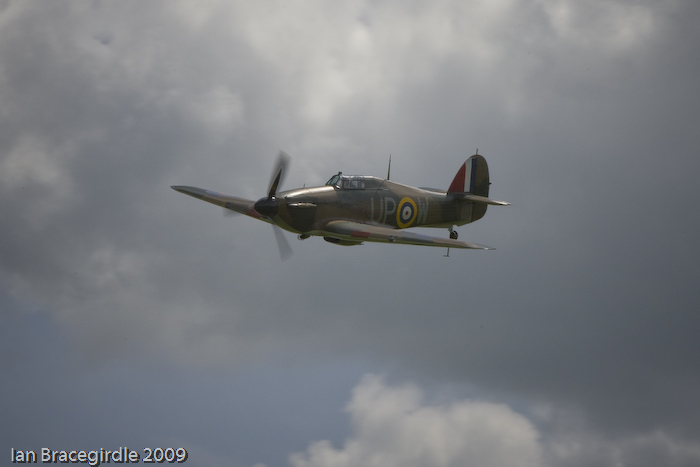 As far as the weather was concerned visitors to Cosford this year were treated to gloomy weather, which did not spoil the days enjoyment for people. 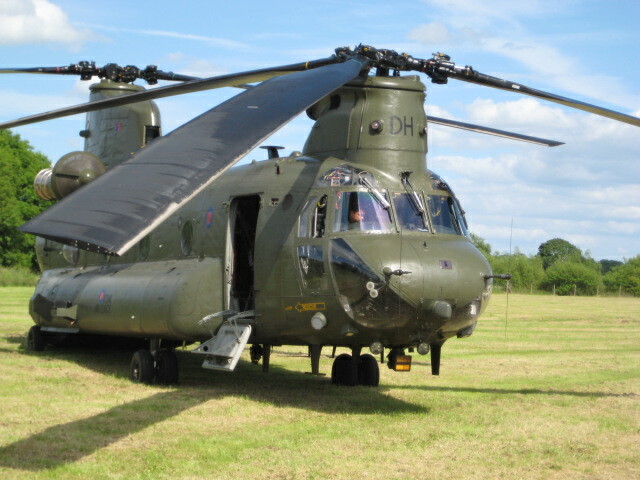 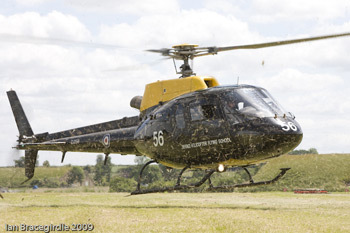 Cosford's short runway always causes a problem for visiting aircraft which are generally limited to helicopters, training aircraft and warbirds. 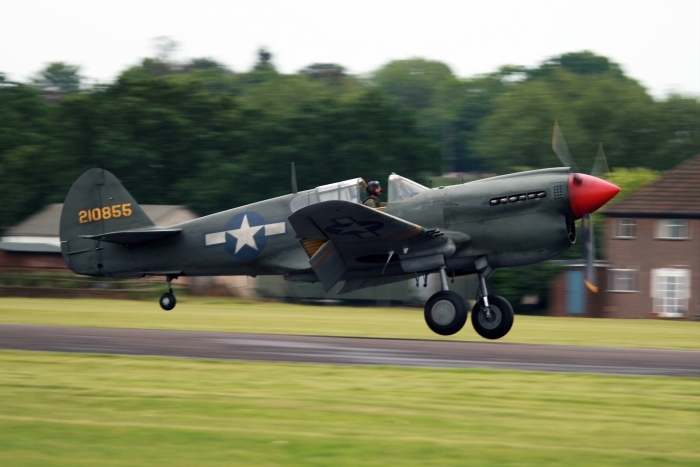 Some of the aircraft participating at Cosford this year included a Boeing-Vertol Chinook, P-40 Kitty Hawk, a Douglas C47 Dakota, Grob Tutor, P-51 Mustang, Short Tucano and Supermarine Spitfire. 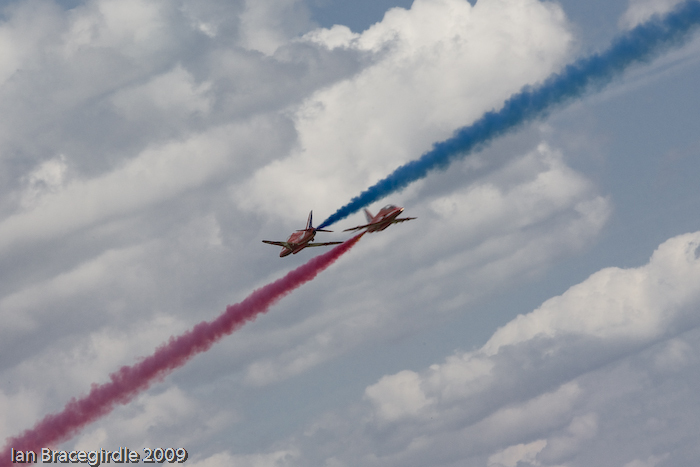 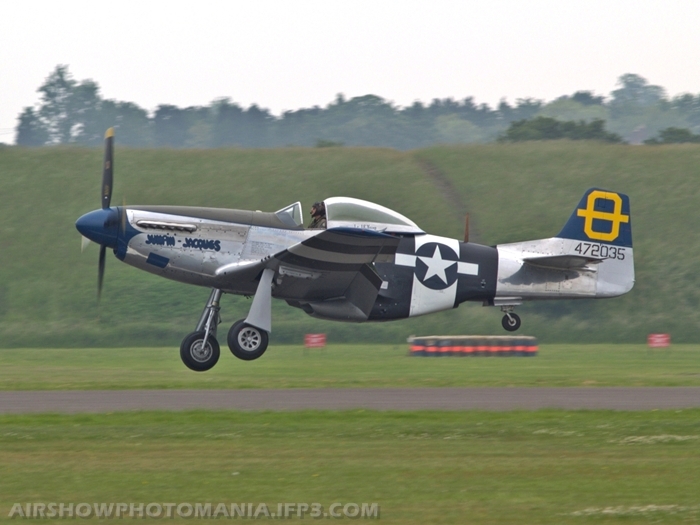 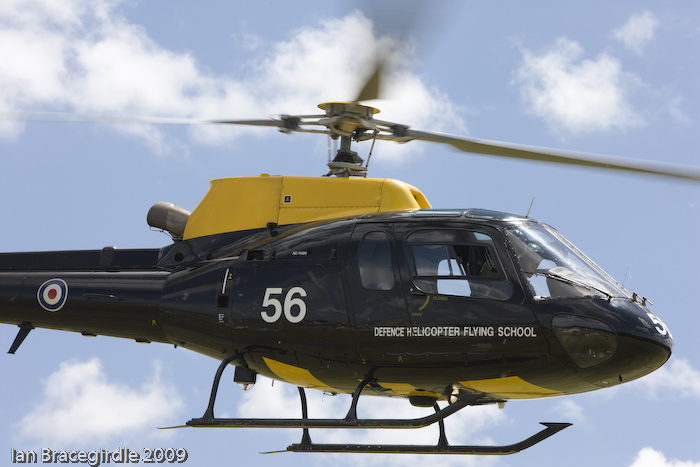 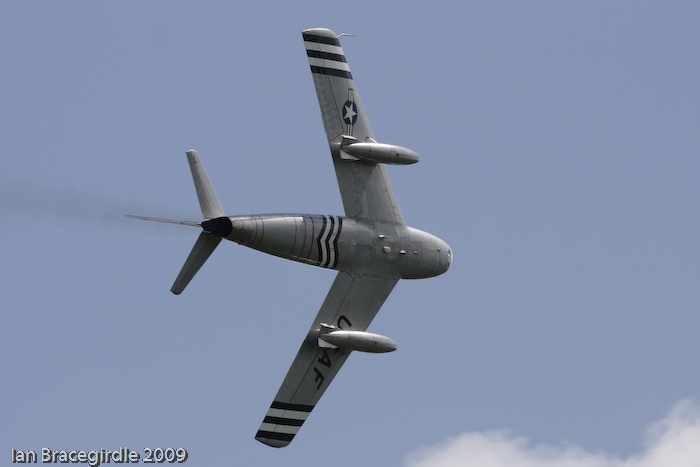 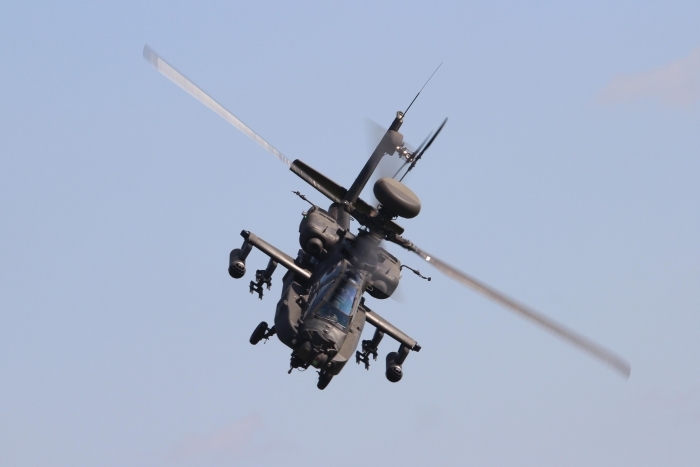 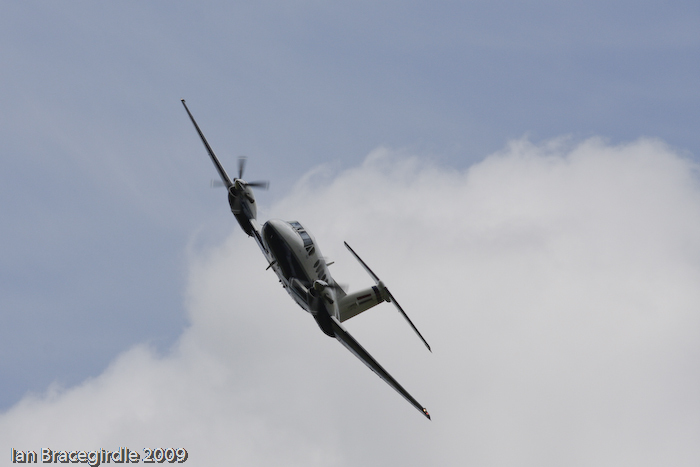 The RAF Cosford Air Show is a midlands premier aviation event. 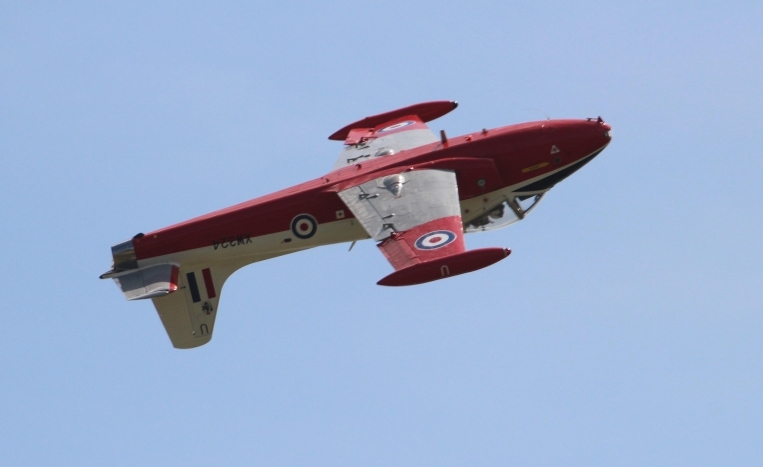 This is an annual show which always has a strong RAF participation. 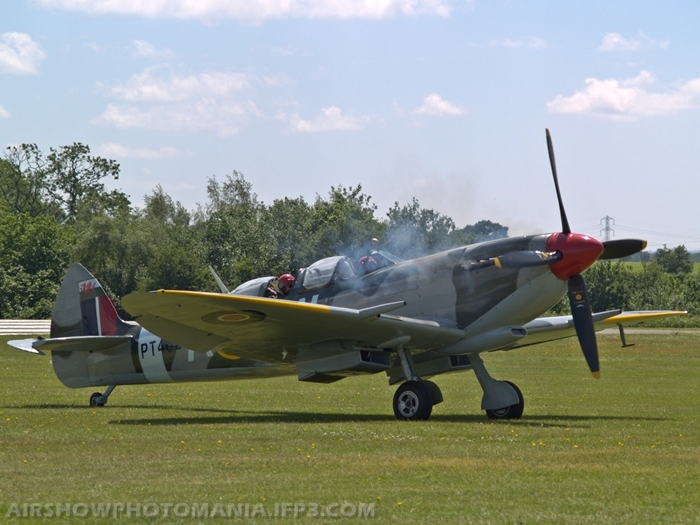 The Cosford show is always a good family day out, with high temperatures and plenty of sunshine this year's show certainly brought in the crowds. 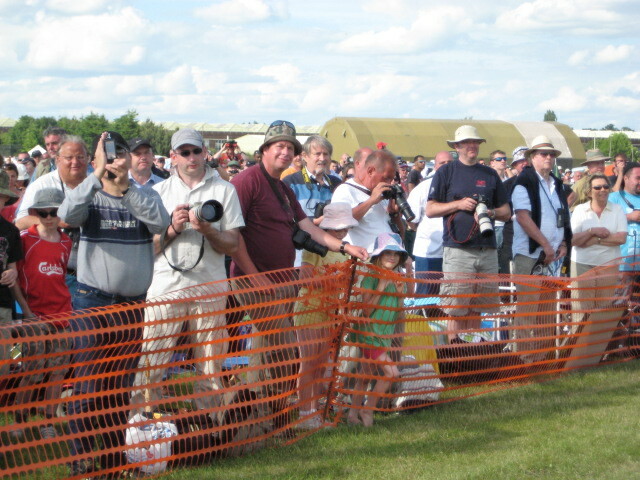 With the experienced voice of Sean Maffet doing this years commentary. 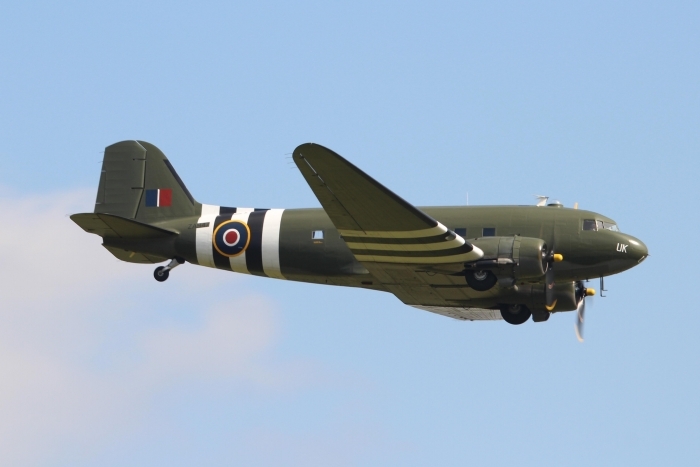 Some of the aircraft participating included The Red Arrows Display Team, The Battle of Britain Flight's Douglas C47 Dakota and a Westland EH-101 Merlin.